Even though the center is officially over land, the swampy flat soil of South Florida may not be a deterrent to further strengthening. In fact, environmental and nearby oceanic conditions are favorable for steady strengthening over the next 24 hours, which is reflected in the official forecast. The National Hurricane Center is projecting Gordon to have winds up to 60 mph by the time it reaches the northern Gulf of Mexico. Heavy rain bands are expected to continue at a steady pace for much of the day Monday across southeast Florida, where rainfall estimates since midnight were already over an inch in many areas. 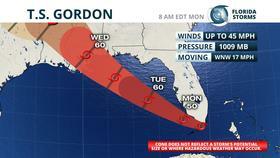 The rain will be picking up in intensity near Naples and Fort Myers Monday evening as the center of Gordon continues moving toward southwest Florida. Storm totals of 2 to 4 inches, locally up to six, are expected across a large area of Collier, Miami-Dade and Monroe counties where a Flood Watch continues through 11 pm. An isolated tornado or waterspout is possible from the outer bands of Tropical Storm Gordon across much of South Florida Monday and Monday night. 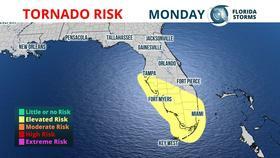 The risk is enhanced Monday afternoon near the Atlantic coastline from Fort Lauderdale to West Palm Beach where stronger individual thunderstorms may develop and move ashore. The area of greatest risk Monday night will shift to the west coast of Florida from Tampa to Fort Meyers as Tropical Storm Gordon begins to pull away. Minor coastal flooding is possible Monday on the Atlantic coast south of West Palm Beach from onshore winds of 20 to 30 mph. Waves of 3 to 5 feet are expected, locally as high as 6 feet in some areas, and inland waterways will be choppy. There is also a high risk of rip currents at area beaches on both coasts through Tuesday from Tropical Storm Gordon. Tropical Storm Gordon is forecast to make landfall Tuesday night somewhere between eastern Louisiana and southern Alabama as a formidable tropical storm. The National Hurricane Center will be sending a plane to investigate Gordon Monday afternoon, hoping to use that data to refine future forecasts on the projected track and strength of the season's seventh named storm. 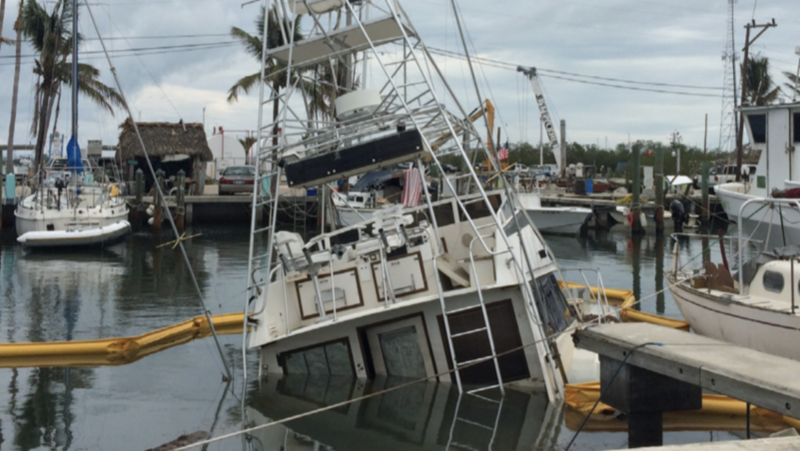 While specifics on storm surge, possible wind damage and flooding aren't real clear just yet, most of Florida's peninsula is unlikely to experience significant impacts from Tropical Storm Gordon. The exception to this statement may be immediately near the Emerald Coast from Destin to Pensacola, where tropical storm force winds and heavy rain is still a possibility. The Florida Public Radio Emergency Network will continue to monitor the progress of Tropical Storm Gordon and provide updates in this story, via our Facebook and Twitter accounts, or in the mobile app Florida Storms.